ONE CHANCE TO SAVE EARTH. Each book contains nonstop adventure, mysterious coded symbols and top secret files! 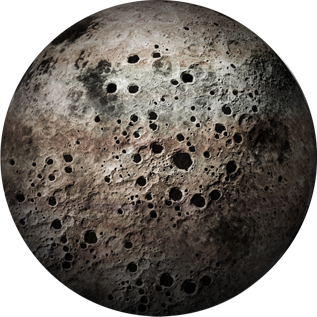 Check out Voyagers HQ for a new planet report and an interactive game with each release. 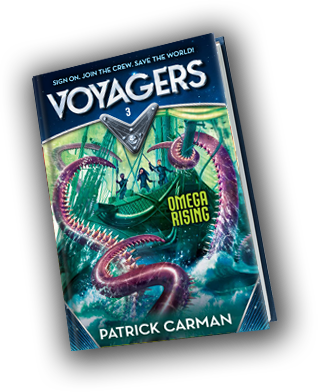 I have approximately 2,348,962 novels stored in my memory banks, but my favorite six are The Voyagers saga! It's the story of my awesome friends who travel from galaxy to galaxy tracking down the solution to Earth's energy crisis. Before the world goes dark, CLICK ON THE TABS BELOW to find out more about each book, and then start your literary adventure. The entire future of our planet will soon be in the hands of four kids. Sure, they’ll be the best in the world . . . but can they save the world? Earth is about to go dark. Without a new power source, life as we know it will be toast. A global competition is under way to determine who will join the secret mission that might just save us all. 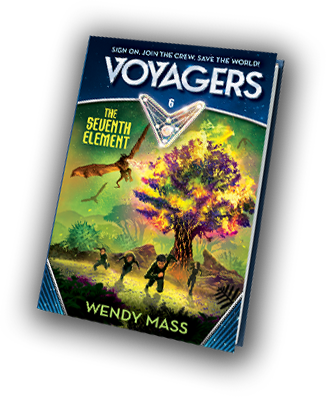 The Voyagers will venture to the far reaches of space, farther than anyone’s ever gone before, and they must be prepared to face anything. 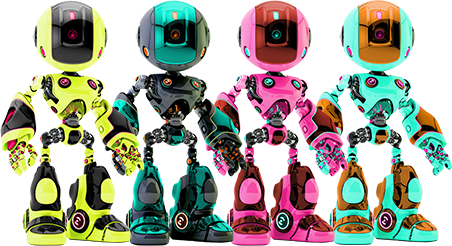 Customize your own robot officer. Earth is in danger. The world is about to go dark... unless four amazing kids can venture into outer space and bring back the solution. Six elements, each on a different planet, fuse together to form an unlimited energy called the Source. 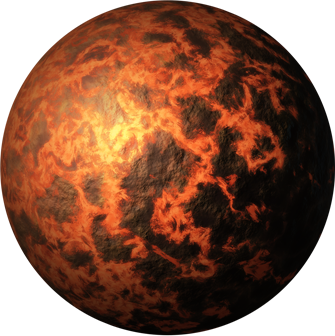 When Team Alpha arrives at their second destination, Meta Prime, they begin to search the metal planet for the molten lava they need. It should be easy. 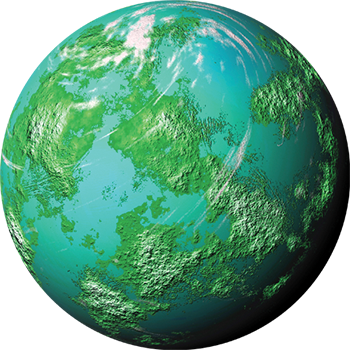 This planet is quiet. 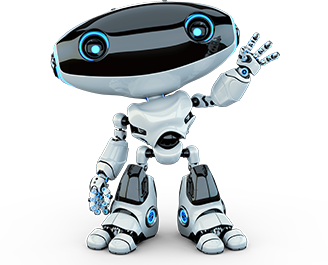 Even the native robots are frozen in time. But someone—or something—turns Meta Prime back on. Suddenly the Voyagers are stuck in a complex game between two alien lords. Is the one helping Team Alpha really on their side? Or are they about to change their name to Team Annihilated? 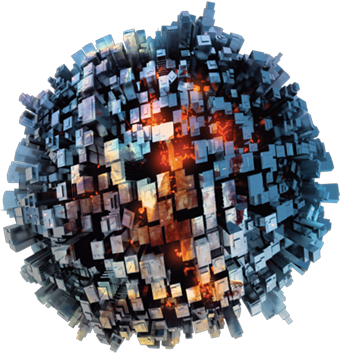 war-torn world of Meta Prime. Help STEAM organize ZRKs of the same type before they escape through the airlock. It’s a race against time as the Alpha and Omega teams battle to be the one to retrieve the next element needed to save Earth! 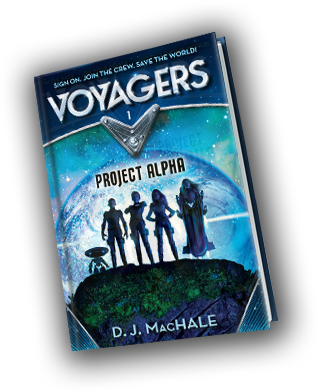 When Team Alpha arrives at their third planet, Aqua Gen, they must literally dive into treacherous waters. Dangerous sea creatures, bloodthirsty pirates, plus the competitive Omega Team suggest this won’t be an easy mission. 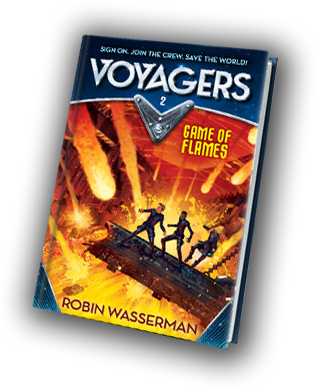 But the Voyagers are prepared for anything! Or so they think. It’s bad enough that they’ve run into a predator in their first minute on Aqua Gen, but when a member of the crew goes missing, they face a crisis. What is more important, saving a friend... or saving the world? 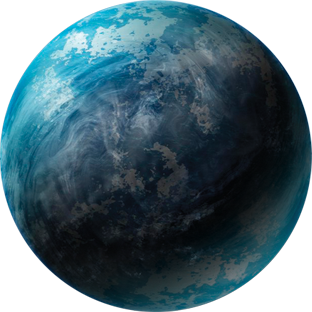 ocean planet of Aqua Gen.
Hidden somewhere in the maze of tunnels beneath Planet Infinity’s surface is the element Team Alpha needs. But in a labyrinth this vast, how will they ever find it? 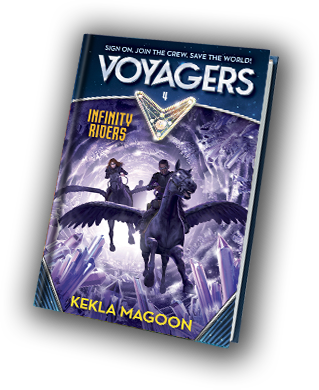 Lucky for them, an alien race known as the Jackals have abandoned the planet, leaving behind their supplies, including... flying horses? Well, this just got awesome! 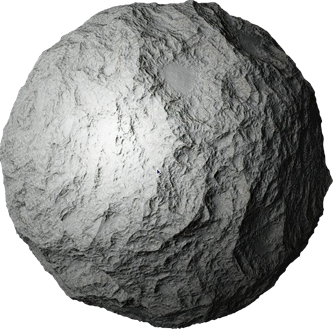 Break up the venemous spores to develop a cure for the Stinger toxin. Planet Tundra may look like a giant marshmallow, but this is no winter wonderland—it’s a winter nightmare! 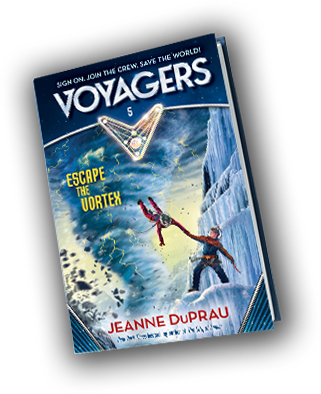 Ravaged by windstorms and an unstable ground that will swallow you whole, this frozen landscape is the deadliest the Voyagers have encountered yet. Add in monstrous creatures called Ice Crawlers that hold the fifth element, and, well, this mission couldn’t get more chilling. When the Omega team finds themselves in trouble, only Team Alpha can save them. But if the tables were turned, would the Omegas do the same? keep the ship flying high! It’s been 13 months, 1 day, and 10 hours. . . . The Voyagers have made it to the last planet. If they complete this mission, they can finally go home. But they’ve been in space a long time, and it’s starting to take its toll. When one of the crew falls deathly ill, the race to return to Earth becomes even more urgent. They just have to combat fire-breathing dragons and an evil alien clone out to sabotage their every move. No big deal.